Only a few segments of the medical marketing industry have embraced the “big data” advantages. Some health systems, hospitals and the larger provider practices are now willing and able to collect and use data-smart information for marketing. Real time reactions: Hindsight analysis can be useful for “next time” planning. But using real-time data analysis allows for immediate changes to an ongoing campaign. The ability to adapt and/or fine-tune an active campaign effort produces better results. Efficient and cost-effective: Precision targeting—combined with computer power—allow for better placement, less waste and a more cost effective marketing campaign. 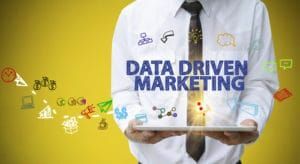 Please connect with us today if you’re new to data-driven marketing, or if you’d like to improve your game. And, as a medical advertising agency, our job is to help you win patients, grow revenue and enhance your reputation. Let’s talk.